Doctor’s orders at this event! This fun night celebrated Chantel’s recent single release of her song “Wait,” featuring rappers Vory and Offset of the group Migos. It was a huge accomplishment for the young influencer/DJ, nicknamed “CeeJay,” who also produced and co-wrote the tune. Plenty of celebrity friends and influencers were in attendance to show their support of Chantel. 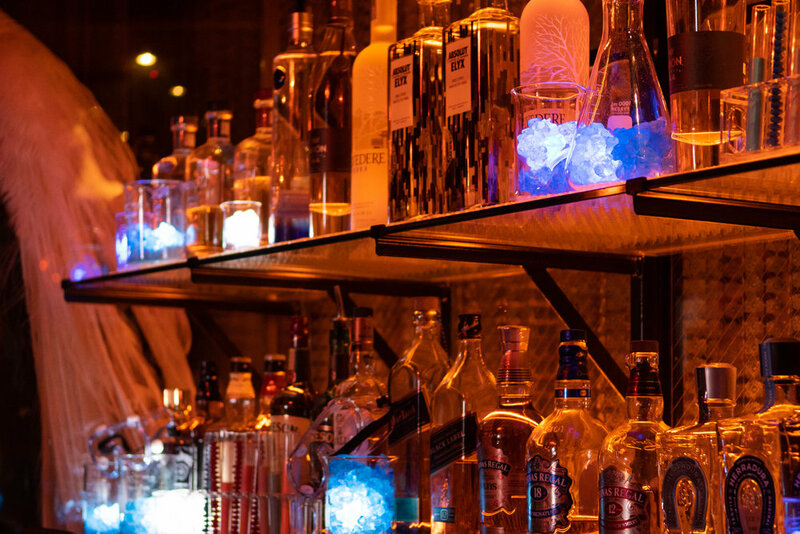 As they passed through our creation of a purple “liquid” tunnel, they gazed up in awe. I loved how it looked and it’s actually a favorite of mine! 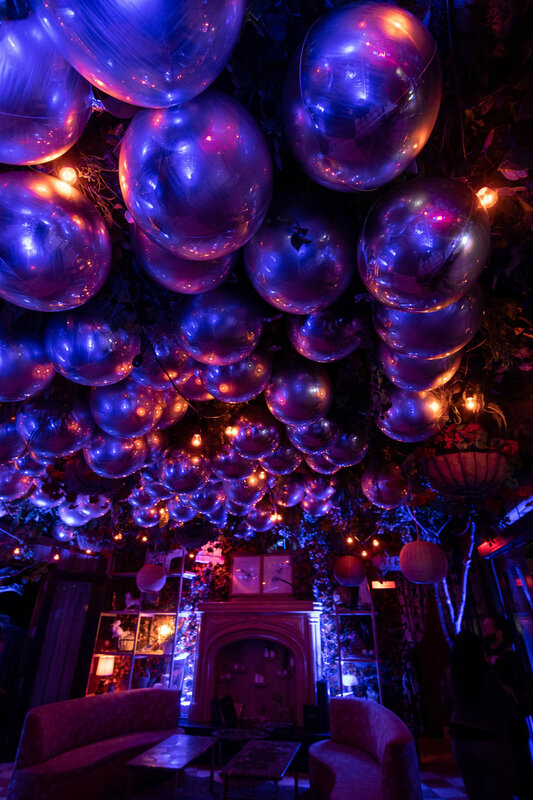 Once entering, attendees were mesmerized by the transformation – Poppy had become one big whimsical medical lab. 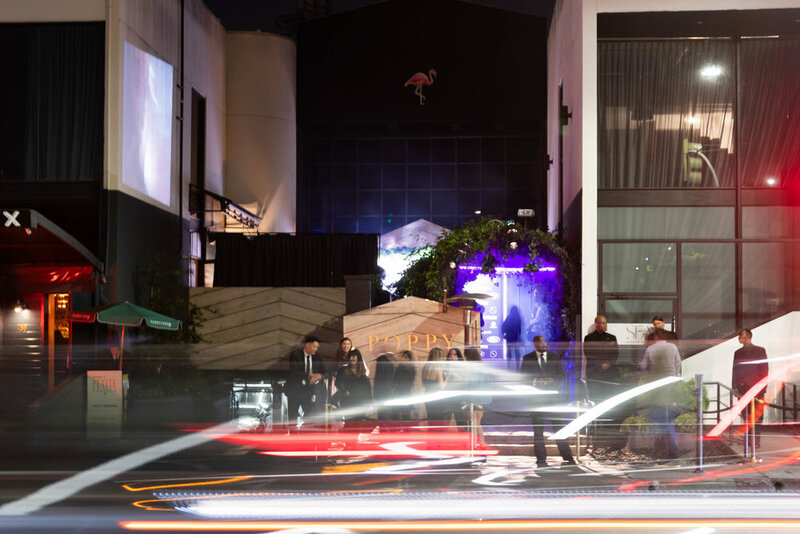 The theme of the event closely followed that of the video for the catchy dance song. 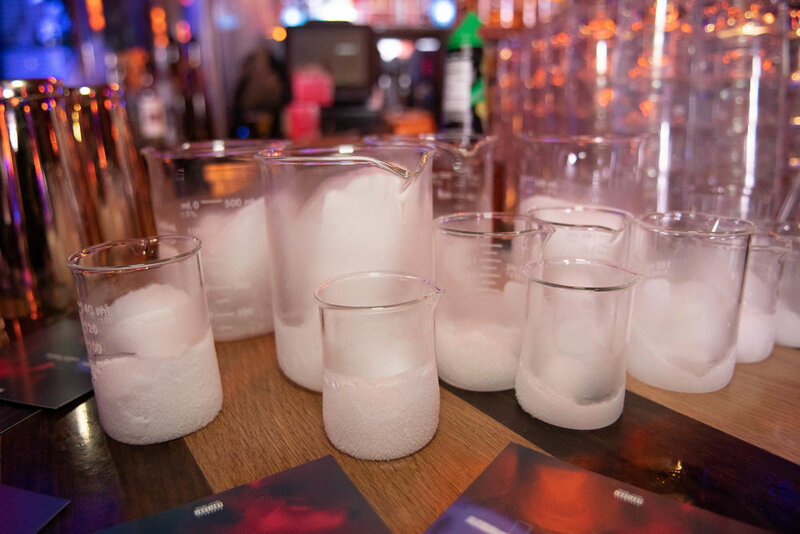 The bar area was heavily decorated in beakers with steamy dry ice rising, while bright blue-colored candy filled other glass vessels to make it appear like a lovely chemistry experiment. 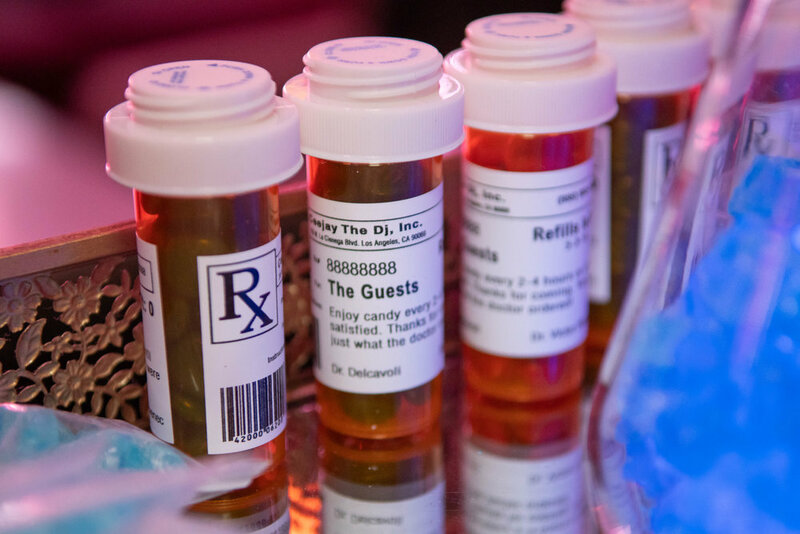 Good-looking male and female “nurses” roamed the venue with “prescriptions” for partygoers and a variety of additional (candy) “medicine” was available. 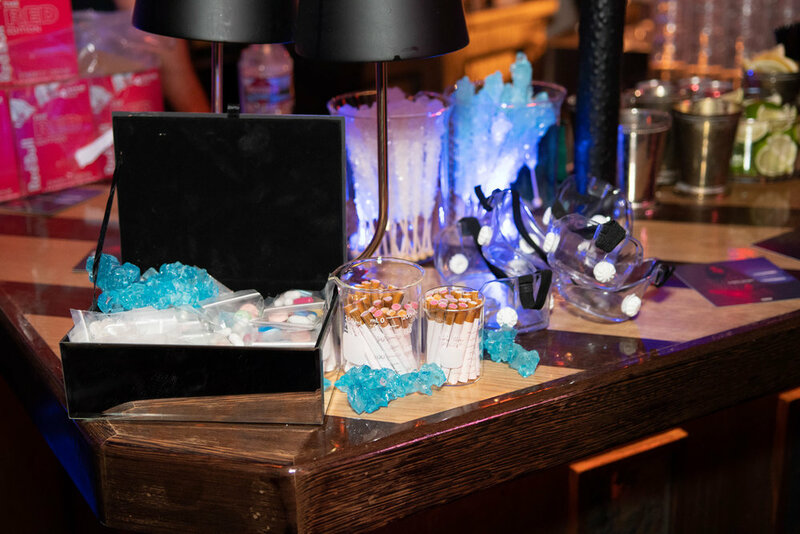 The tasty treats likely contributed to revelers having enough energy to pack the dance floor the entire evening, at one point even Chantel danced on the DJ booth stage, playing “Wait” twice in a row, much to the delight of guests. Chantel was dressed her best, in a two-piece vinyl number that really demonstrated that Prettylittlething style. She happily posed with lab goggles and personalized “prescription bottles” and even stopped to take photos with friends in the HAPPEN booth! 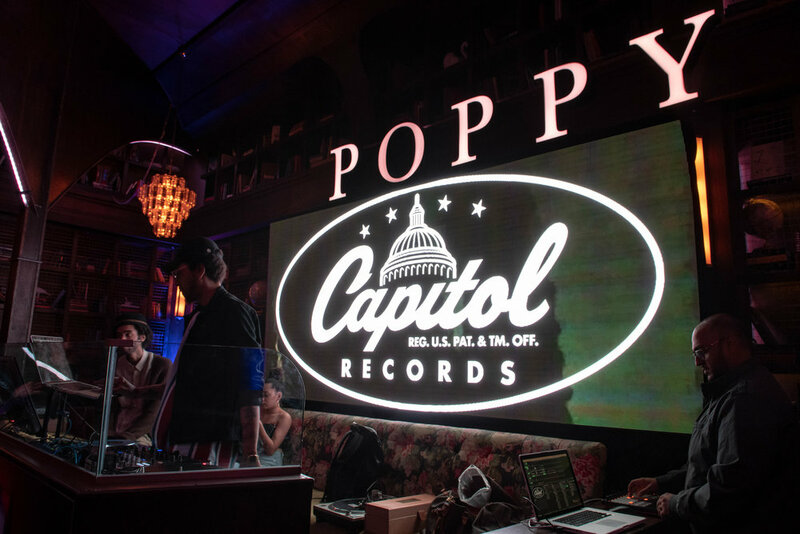 The celebratory night was definitely one to remember and we’re so grateful to have contributed to its success, along with our partners from the evening: Poppy, Red Bull, Capital Records, Beautycon, Bebe, and Prettylittlething. And finally, here's your opportunity to listen to the entire track and watch the incredible video!